Learn how to manually install and configure Jamf Pro on Red Hat Enterprise Linux, Ubuntu LTS Server, and Windows Server. Note: This guide has been discontinued. 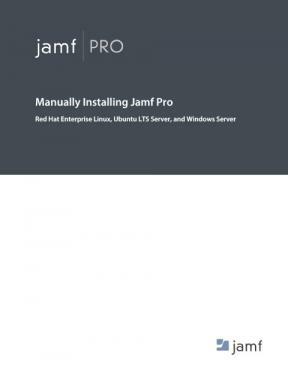 Instructions for manually installing Jamf Pro are now included in the Jamf Pro Installation and Configuration Guide for Linux and Jamf Pro Installation and Configuration Guide for Windows.